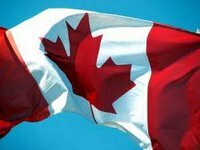 Canada will issue $30 million to finance a new project of assistance to Ukraine aimed at development of entrepreneurship, Canadian Minister of International Development and La Francophonie Mandate Letter Marie-Claude Bibeau has said. "We have announced a preliminary selection of projects from Ukrainian, Canadian and international organizations. Projects should be aimed at strengthening the role of women in economy and business. The program of assistance to Ukraine will be designed for five years," she said asked by Interfax-Ukraine at a press briefing in Kyiv. According to First Deputy Prime Minister and Minister of Economic Development and Trade of Ukraine Stepan Kubiv, currently Canada is implementing 11 international technical assistance projects in Ukraine for a total of $116.8 million.